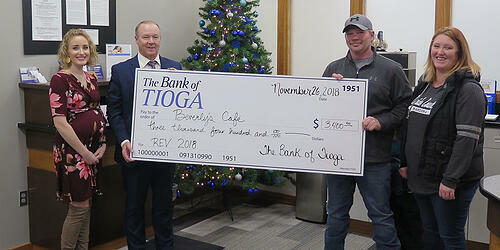 Since 1951, The Bank of Tioga has been helping communities grow and prosper. Our sole mission is to create community prosperity in all the communities we serve and at The Bank of Tioga that is part of everyone's responsibility. REV is a pitch competition that enables entrepreneurs and start-up business owners the chance to win up to $10,000 to better their business. 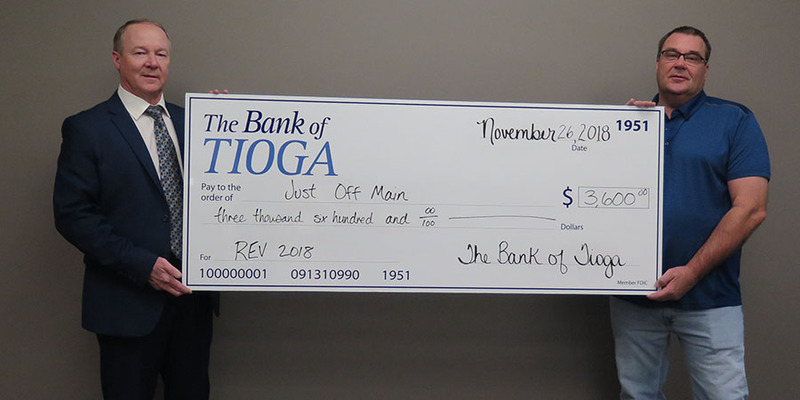 The Bank of Tioga is hosting REV, where applicants will be judged on their pitch, marketing, personal investment level and exit strategy. 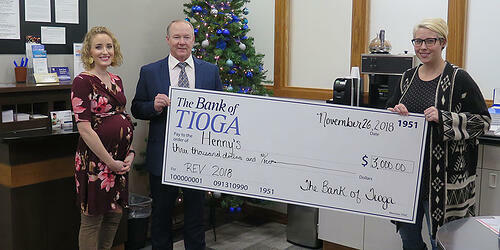 REV 2018 took place on November 16, 2018, at The Bank of Tioga, located at 7 N. Main Street, Tioga, ND 58852. Individuals applied and six were accepted to pitch their business. They had ten minutes to pitch their business concepts to a panel of four judges, and then the judges had ten minutes to ask questions. After all pitches were complete, the judges deliberated and decided how they would distribute the $10,000. Meet our three winners below! With the prize money they will make improvements to their private dining/meeting room. This will include the purchase and installation of a screen, projector and sound equipment to be used for community meetings, workshops and birthday parties. They plan to purchase and install a new soft serve ice cream machine in their restaurant as well as repair and replace old equipment to help make their kitchen more functional. Plans for this business’ future include an expansion in their food menu to offer healthy lunch options such as homemade soups, sandwiches, fruit and veggie cups. With their winnings, they intend to purchase a new sandwich prep table and glass front refrigerator for their new expanded menu. REV 2017 took place on November 17, 2017, at The Bank of Tioga, located at 7 N. Main Street, Tioga, ND 58852. With the $3,500, Hidden Beauty Salon & Spa will be looking to purchase a red light therapy bed. Frandsen Landscaping will put their $3,500 prize toward insulating their shop and pouring concrete. With the $3,000 prize money, Stems & Salvage would like to purchase supplies for more hands-on classes and widen the inventory available for purchase.